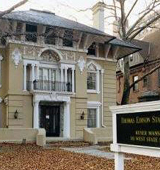 "Thomas Edison State College is public institution in Trenton, NJ serving adult and continuing education students. Thomas Edison's 17,000 undergraduate students can earn credit through testing, "tele-courses," and life and work experiences as well as traditional programs and distance learning programs." What are the top 3 reasons someone should attend Thomas Edison State College? What is a typical Thomas Edison State College student like? Describe the type of person that should attend Thomas Edison State College. Thomas Edison State College has a national reputation for academic excellence and educational integrity. The College is one of New Jersey's 12 senior public institutions of higher education and one of the first schools in the country designed specifically for adults. The College provides flexible, high-quality, collegiate learning opportunities for self-directed adults and offers degree programs and certificates in more than 100 areas of study. Thomas Edison State College's flexible learning methods range from online courses and prior learning assessment to credit transfer and credit-bearing exams. We offer undergraduate and graduate programs, and professional certificatestailored to the needs of adults, whether it is for professional advancement or personal fulfillment. Named for the famous American inventor who acquired knowledge outside of the traditional classroom, Thomas Edison State College provides higher education for adults with higher expectations. What are the top 3 things that students do for fun at Thomas Edison State College? I will be attending the school only via online classes so this will be difficult for me to determine. The college is located in New Jersey, and I will remain living in Michigan. Any instructional program in administrative and secretarial services not listed above. Any instructional program in homeland security, law enforcement, firefighting, and related protective services not listed above. A program that focuses on the general study and provision of human and social services to individuals and communities and prepares individuals to work in public and private human services agencies and organizations. Includes instruction in the social sciences, psychology, principles of social service, human services policy, planning and evaluation, social services law and administration, and applications to particular issues, services, localities, and populations. Any instructional program in military technologies and applied sciences not listed above. Any instructional program in electrical and electronic engineering-related technologies not listed above. Any instructional program in mechanics and repairs not listed above. Total stated tuition is $5,700, in-state and on-campus, before financial aid. Learn more about financial aid at http://www.tesc.edu/858.php. Estimate the net price for you at http://www.tesc.edu/net_price_calc.php. The typical (median) early career salary of Thomas Edison State College graduates is $49,700, according to Payscale. Want more info about Thomas Edison State College? Get free advice from education experts and Noodle community members.